A young girl has many insecurities that she hides behind her cool and popular exterior. She soon sets out on a quest to show people who she really is. Shugo Chara is a great book for children who have insecurities because the characters deal with many types of problems that kids have today. 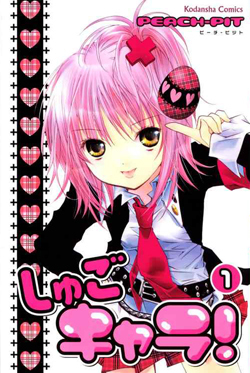 The book is very relatable because Amu Hinamori is a very shy girl who wants to be more outgoing. I recommend it for people who are dealing with personal issues.